◾From the dashboard, go to the bottom of the column displaying your active tools and click on More Options. This extends a display of more tools; from here, click on Widget Options. ◾Click on your profile name and icon in the upper right-hand corner to open a menu. Choose Settings, and then click on the Widgets tab. 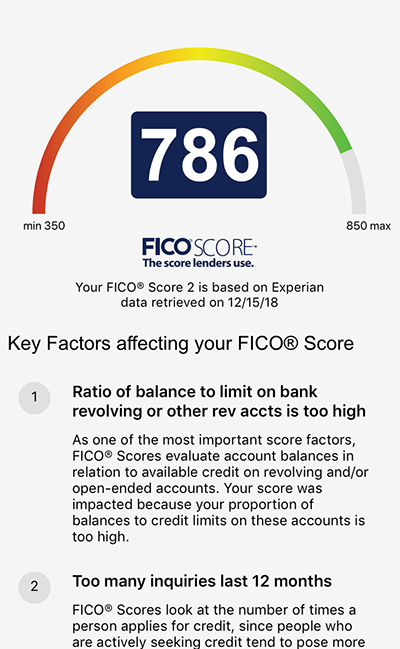 Clicking on the FICO® Score feature opens a page that shows your FICO® Score, the date of the pull that generated the FICO® Score, and the top two factors that influenced the FICO® Score. Note: checking your score will not impact it. The first time you open this feature, you will need to review a disclosure and opt-in to the program before you will be able to view your FICO® Score. You will be able to opt-out at any time, with the option to opt-in again in the future.